Home » Articles » 132. But I Don’t Want to Detach Myself From My Mother! ← 131. Why It’s Better Not to Drink When Eating. 132. But I Don’t Want to Detach Myself From My Mother! A lot of people don’t like doing step 3 of the MIR-Method, “Detach mother”. “I don’t want to detach my mother. She’s so sweet.” “She was always there for us. Thanks to her I had a great childhood. Why do I have to detach myself from her?” “My mother passed away. I don’t have to detach myself from her then, do I? It doesn’t feel good.” These are all very understandable reactions. Maybe it’s a good thing for me to explain more about how it works. What does “detach mother” do? What it does is to detach you from your mother. From all of her expectations of you and the hope that you will behave well because that would mean she was a good mother. Your feelings of guilt because she could not express herself as much as you can now. The behavioral examples you unconsciously adopted, such as neglecting yourself. Her feelings of inferiority, her emotions, her depressions, her outbursts, her words, her energy. And the other way around as well. Your expectations of her, your behavior to get her attention and to win her love, the defense mechanisms you developed to deal with her manipulations, the longing for the mother she couldn’t be. Because she was too busy with her family, keeping things going on a daily basis with everything necessary to keeping house such as cleaning the house, preparing meals, making sure the clothes were clean, bringing you to sports on time and picking you up. When you say, “Detach mother”, you detach yourself from your mother. You give your subconscious the command: my mother has her life and I’ve got mine. You take your mother out of your system and let her go. She can go her own way. You free yourself to make your own choices, to go your own way. When you say, “Detach mother” with step 3, it not only has the effect of detaching you from your mother but also from all the women and girls you ever met during your life, including former lives as well. Your grandmother, aunt, sister, daughter, niece, ex-wife, ex-girlfriend, teachers, the neighbor, sport teacher, colleagues, the choir director, the mother of one of your children’s classmates, the bullying girl at school, your dead sister, etc. And don’t forget your current partner! You make yourself independent of old pain and cut the ties with women/girls who still unnoticeably influence you. It is subtler than with “Detach father”, because women’s influence is more invisible. You become less sensitive to the unpleasant behavior of women in general, such as manipulation, jealousy or gossip. You remain steady in your own strength. You allow the squabbling to glide off your shoulders and are more aware of choosing women who go through life with honesty and sincerity. But I had such a great bond with my mother! If your mother has already died, step 3 still works. In spite of her death, you can detach yourself from your mother or other women who have passed away because they can still have an unnoticeable influence on you through the thoughts you have about them. “What would mother have thought about this?” This doesn’t have to be negative. Maybe the bond with your mother was great and you miss her a lot. Then “Detach mother” sounds strange! Yes, I understand that! Then it’s good to know that the MIR-Method is focused on your growth. If you do step 3, it won’t make any difference to the bond between you and your mother because it was wonderful. It will most likely strengthen you by helping you draw from a clear example of how a mother can be! In your case, step 3 is more for detaching you from other women. So stroke “Detach mother”; the warmth and love remain while you detach yourself from other women. As a child, you were bothered by your mother’s presence. Mothers in past generations were always home. It meant that they had a lot of influence on you and that there was little room to maneuver in. She could keep a watchful eye on you. Maybe you enjoyed being outside because of this, playing with others. Mothers themselves didn’t get enough attention. Through constant care for the family and always busy working, they neglected themselves and pushed their needs to the background. What did mother actually want? What desires did she have? Most women didn’t speak up for themselves. They forgot about their needs or talked themselves out of them. Or were deterred by society’s norms. “When you’re expecting, you should quit your job.” “As a mother, you belong at home with your children.” I do think it’s important for children to be with their mothers but for women back then it was not as normal to share the care with their husbands. Thankfully, it’s becoming more normal! Step 3’s “Detach mother” has another advantage. You free yourself from your mother’s system. She goes her way. You go yours. And then the contact between you and her improves! I’ve read many reports from people about how the contact between them and their mothers or sisters improved by doing the MIR-Method! And in that is another beautiful thing, the unifying of women with each other. It supersedes jealousy and outdoing each other so women can support each other, join hands and encourage one another. Women have been used to being the “underdog” for so long that being strong and speaking up for themselves can seem strange. If women encourage each other they will be able to fully live their mission more quickly! How about you? Have you noticed that you are freer from your mother? That you enjoy being with women more since doing the MIR-Method? I’d love to hear about it from you! Please write about it below. Thank you! My wish for you is that your dealings with your mother and other women may flourish! I am going to try this. i have lived my whole life trying to please my mother and live up to her expectations. I live with guilt and anxiety. Thank you for posting this. Oh yes, and sooooo many women with you! Thank you for trying and please keep me informed! Don’t worry about detaching from somehow you love so deeply! It will then simply have no effect, because it is in your best interest to have these wonderful relationships. The MIR-Method always works in your best interest. When you do step 3. ‘Detach mother’ you detach yourself NOT from your mother, but from all other women you have encountered in your life and that still bothers you: a schoolgirl that bullied you, a teacher that was unfair, a dentist’s assistant that treated you badly… any other women. Can you have a look at that? And… I am very happy for you that you have such a great family! So wonderful you felt it that way! That’s when you know you have overcome it. Great! Happy for you! How absolutely wonderful for you! The way you describe it shows so clearly what is was: returning to your 7 year old self as soon as you were with your mother. I am so happy for you that you found back the strong woman that you really are. And to think how you can be an example to others now (well, that’s my mission, to always make people see their greatness, sorry to take further steps.) 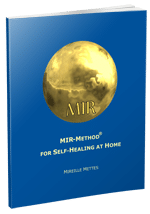 I am really happy and hope so many more people will want to use the MIR-Method to set themselves free! Great! This describes my relationship with my mother exactly and I just turned 60 a couple of weeks ago. Maybe 60 is the charm. Thank you for writing how the MIR Method has helped in this situation.